Estimating the cost of new concrete involves much more than the price of concrete per yard (or meter). There are many variables to consider, such as surface prep, formwork, reinforcing materials, and finish work, plus the cost of the ready-mix concrete, that will add up to the total price of the job. Costs for specific items will vary from location to location or from site to site, but you can get a rough estimate using some averaged amounts. The most important item to consider is the price of concrete, whether you're using ready-mix concrete or other concrete material. 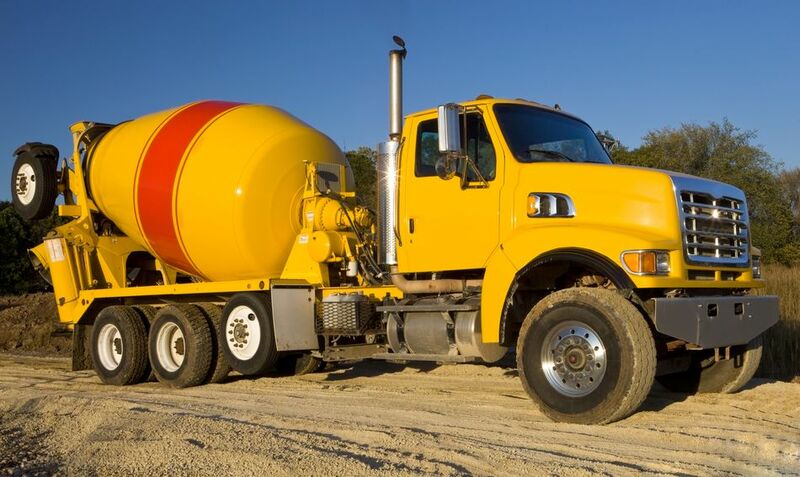 Local ready-mix concrete suppliers can give you quotes once you define the project specifications and provide the job location. Concrete pricing is typically quoted per cubic yard or cubic meter (metre). For an average estimating number, you can use $77 per cubic yard. If you are placing concrete over soil, you will need to grade or prepare the surface for the concrete. Pricing for this can include expenses related to grading, compacting soil, excavating, trenching, and other components. As a good average, you can use $65 per hour of work needed to prepare the surface, assuming that the surface is more than 75 percent leveled and no special work is needed to prepare the site. If the surface is not leveled, you may need to add expenses for more site work, such as excavating and filling with suitable material or removing a soft spot on the terrain to make it suitable for structural loads. Depending on the distance from where you will be providing sand or any other suitable fill material, this could add over $10 per cubic yard or meter to your estimate. Another cost might be for polyurethane plastic or vapor barrier required to be installed before placing the concrete. Building concrete forms usually represents a significant portion of the total cost of concrete work, as this is one of the most labor-intensive aspects of the job. You need to identify the type of formwork that will be used, how it will be installed, and whether you will buy or rent the form materials. Other associated costs may include a crane or other equipment used to move the form materials, form release product, re-using form materials, and the cost to repair forms after several uses. On average, formwork can be priced at $1.10 per square foot of the concrete area. This estimate is for a square or rectangular area. Concrete that is rounded or contoured may require costlier formwork. Concrete prices can vary significantly depending on the type of finishing specified in the design. Concrete can be finished in many different ways, such as smooth surface, exposed aggregate surface, or stamped concrete finish. Some surfaces may require only a strike-off and screed to proper contour and elevation, while for others surfaces, a broomed, floated, or troweled finish may be specified. To estimate finishing in your concrete pricing analysis, you can add $0.75 per square foot or perhaps more, depending on the complexity of the specified finish. Also include the cost of any curing compound or testing services required. Most concrete includes some type of reinforcement, such as rebar, wire mesh, plastic mesh, or fiber added to the concrete mix to increase strength and crack-resistance. Standard reinforcing materials can add approximately $0.18 cents per square foot. This number is higher for large-diameter rebar or other special reinforcement. How Can You Define a Construction Contract Agreement?